The new EX600-W is a wireless system engineered for remote actuator control. 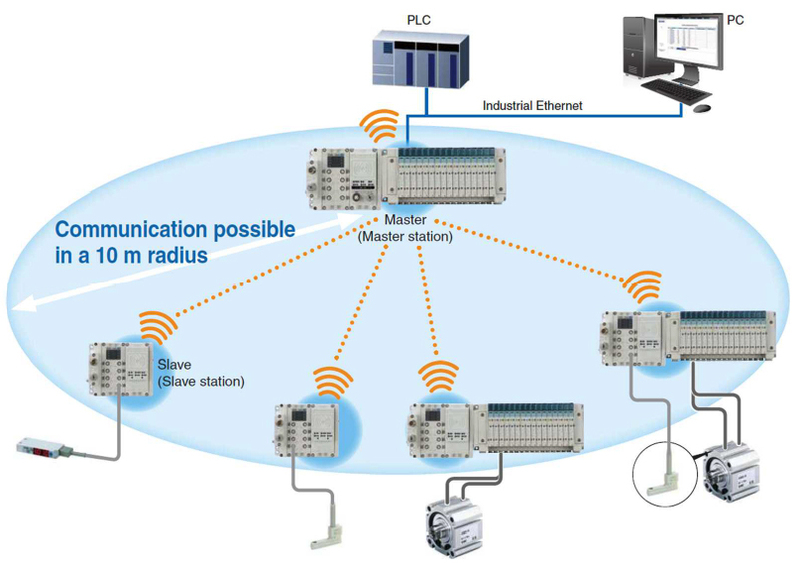 The SMC wireless communication system provides stable and reliable network that meets the needs of the Factory Automation environment. The advantages of wireless industrial communications are reduced installation and wiring costs. Remote communication allows installation in places where wiring is difficult, including moving areas. The EX600-W is so robust it is even usable in welding environments. A stable wireless environment is established using Frequency Hopping, an original protocol which is not affected by interference. This communication technology rapidly changes frequency (hopping) to prevent interference from other wireless equipment. AUM Series (Patented) Ironless Brushless Linear Motors offer zero cogging force with the highest motor constant and shortest coils lengths. AUM series consists of the most compact coil on the market. This minimizes the space required for a certain stroke and, through this low self mass the highest dynamics. These linear motors have low moving mass and are suitable for very high acceleration (up to 100 m/s2). Epson T3 Series SCARA robots with built-in controller provides for an EtherCAT slave card option (as well as support for other protocols), providing a simple fieldbus connection. This innovative all-in-one offers fast, easy integration and takes less time to install than most automation solutions available. The T3 virtually eliminates space constraint issues. With a built-in controller, 110 V (or 220 V) power and integrated vision guidance, as well as other options, this space-saving robot has it all — and installs in minutes. 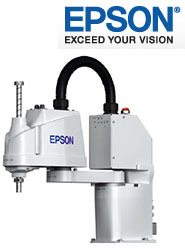 Plus, it includes the same intuitive software and powerful features found in Epson’s high-end robots. JVL develops and produces a wide range of versatile, high quality integrated servo motors and integrated stepper motors. JVL integrated motors contain a motor, driver, controller, encoder and Hall-sensor in one small, compact unit, which can be adapted to exactly your needs by means of a modular design. Module expansion system makes them easily adaptable to almost any application including RS232, RS485, USB, CANopen, DeviceNet, Profibus, Industrial Ethernet, EtherNet/IP and EtherCAT. Electric actuators offer a significantly increased amount of control over the motion profile, in a non-pneumatic environment. The LER rotary series is SMC’s newest member of the LE electric actuator family. 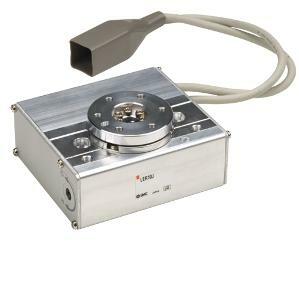 The LER uses a 24VDC step motor within a compact body to transmit torque through a rotating table. Radial and moment loads are supported by a deep groove ball bearing or a special high-precision ball bearing (option). Step data can be written to the controller using PC software or a portable teaching pendant. Absolute and relative angular positions can be set, along with full definition of speed, acceleration and deceleration. A complete package including actuator, controller, robot cable, and I/O cable can be specified using one simple part number. 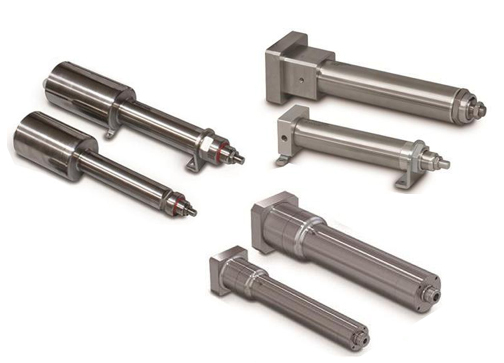 The ERD is an economical electric cylinder and is compatible with many NEMA & metric mount stepper and servo motors to create a flexible, powerful, yet cost-effective electric cylinder solution over traditional pneumatic cylinders. ERD electric cylinders are the perfect choice for gating, sorting, diverting and product change overs. 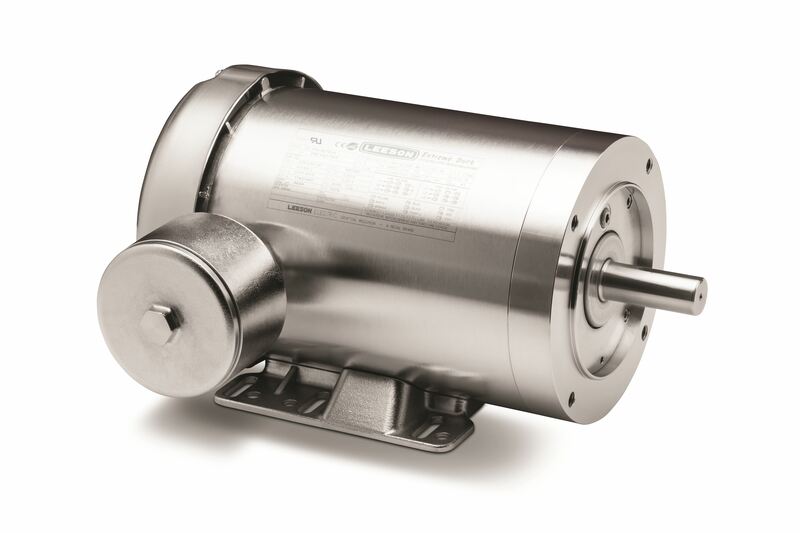 Made of all 304 stainless steel, ERD-SS2 actuators have IP67 and IP69K static ratings for washdown-ready performance. SMAC programmable actuators allow 100% detailed inspection and verification for all mission critical parts and are being used in a variety of applications such as screw thread checking, switch tests, quality measurement, effort testing, displacement testing and more. SMAC can provide unique inline quality control solutions that successfully automate inspection procedures. Thanks to ongoing advances in control algorithms and processing power, the best AC servo drives can now exert degrees of control that would not have been possible even a year ago. 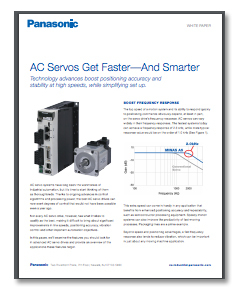 In this white paper, we’ll examine the features you should look for in advanced AC servo drives and provide an overview of the applications these features target. Introducing Extreme Duck ULTRA, the revolutionary new design of this Washguard motor ensures that liquids won’t penetrate the motor in any mounting position, plus it’s easier to install and connect because of unique non-wicking colored leads. Less corrosion, less operating costs.